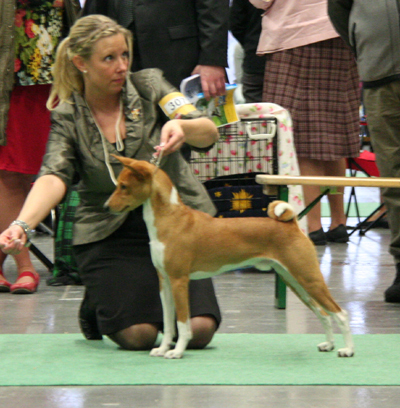 The Basenji is an elegant, fast, playful and agile breed. It is known to be one of the oldest breeds in history and is still used as a hunting breed in some parts of central Africa from where the breed originates. 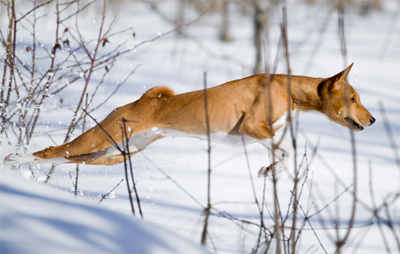 They have a very strong hunting instinct and is not always the easiest dog to live with. They are nice show dogs, usually loves lure coursing and make excellent company. They might even enjoy to work in agility or obedience. They have very cat like behaviour in many ways. They clean themselves, they can be very aristocratic and put on a haughty expression and they use their paws a lot in play! They can easily jump a high fence and love to climb the back of the sofa or windowsill to be able to watch out. 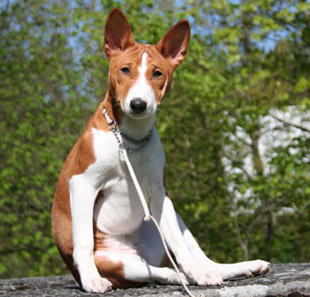 The Basenji is the only breed that cannot bark! But still they are not mute, they can for example make a happy yodeling sound, growl and whine. The breed is alert, curious and very intelligent, although they somehow seem to learn bad things faster than obedience. 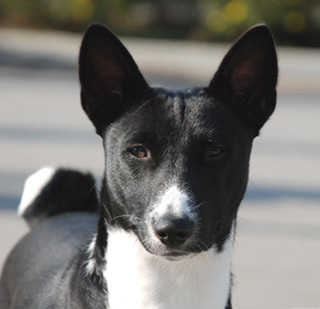 When training a basenji you need to be very consistent and always practise with methods making it fun. 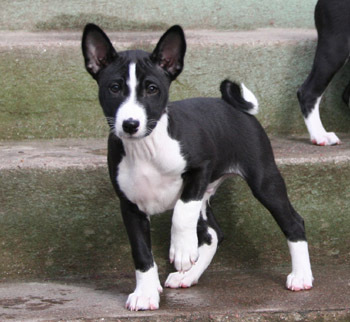 Sometimes it is even better to ignore a basenji rather than getting into a fight with it, but in no way you can be feeble with a basenji. They are little rascals that are too hard to be mad at so they usually turn an upcoming telling-off around to laughter before it even started! They can be very cuddly, even demanding their special time, and usually loves to lie close to the owner. 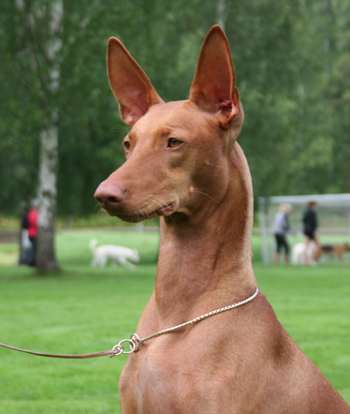 The Pharaoh Hound is a sighthound that uses sight as well as scent and hearing when hunting. Most Pharaohs hunt but it is very individual how keen they are, and it is in many cases controllable by obedience training. It is a very old breed. One of the theories is that they came from Egypt with the Fenicians and was mixed with other breeds around the Mediterranian Sea. It was preserved in the Maltese Islands by the peasants who came to like the breed as it was, a very good rabbit hunter. In Malta the breed is known as Kelb Tal-Fenek, which means “Rabbit dog”. In the seventies the Pharaoh Hound (KTF) was named the National Breed of Malta and it has been depicted in both a coin and a post stamp. The Pharaoh Hound is a kind and playful breed who thinks highly of himself and always wants to be in the centre of your attention. The individuals are very personal and one of their characteristics is that they smile; usually with a big teethy grin. They learn fast, both good and bad things. Therefore it is very important for a Pharaoh Hound owner to be consistent. 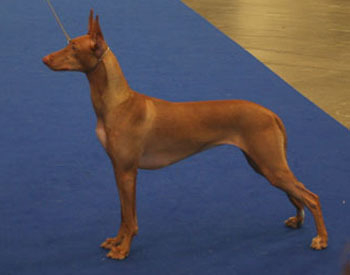 The Pharaoh Hound is a perfect dog indoors if it is given the right amount of attention and training (both physically and mentally). 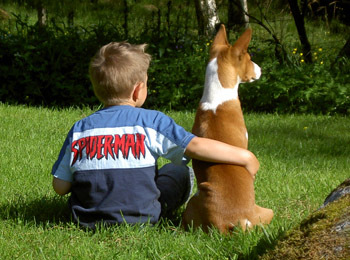 The breed is usually good with children and other dogs. They can learn to love or at least accept other animals such as cats if they live with them. 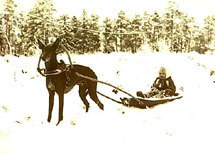 You can live a very active life with a Pharaoh Hound around you! 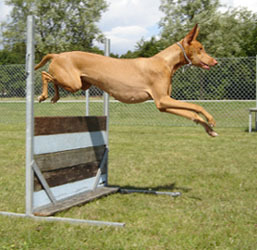 Dog shows, lure coursing, agility and obedience are examples of activities the breed is good at and likes. But they are not a working breed and you cannot expect a 100% obedient dog even if some Pharaoh Hounds has done well at obedience competitions. 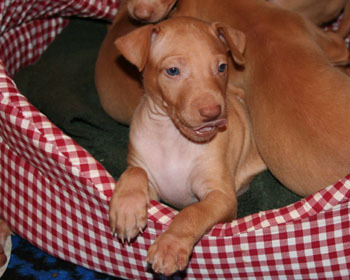 The Pharaoh Hound is an elegant and alert breed, with a smooth tan coloured coat. It has amber eyes, big ears and long tail. It is moderately angulated, not extreem in any ways. The breed combines strength, elegance, power and grace.